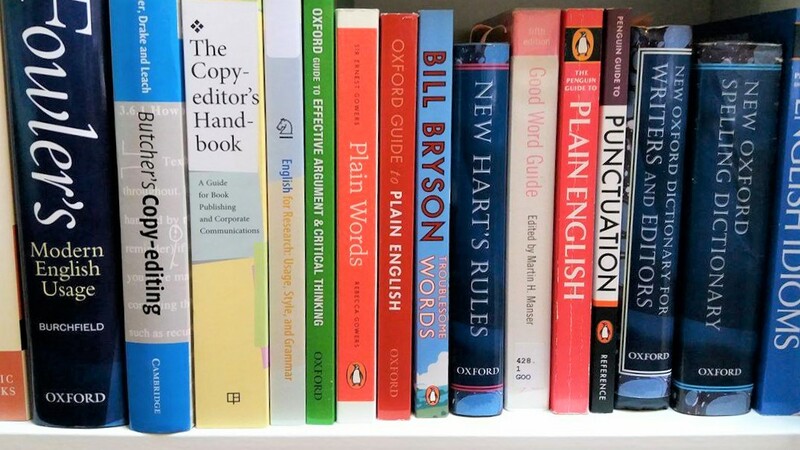 I provide copy-editing and proofreading services for a wide range of clients, including charities, small businesses, public-sector organisations, freelance writers and translation and graphic design agencies. I also provide a plain-English editing service for people who want their writing to be as clear and straightforward as possible. What’s the difference between copy-editing and proofreading? In traditional publishing, there is a big difference between copy-editing and proofreading. Books are copy-edited before they are typeset to correct any problems with sense, grammar, spelling, punctuation, consistency and accuracy, and so on. They are then proofread before going to print to pick up on any text or layout errors that have been introduced at the typesetting stage. Outside of the publishing industry it is not always possible to have a document copy-edited as well as proofread – for example, if it is not being formally published (such as a report to be distributed in Word), if timescales are tight, or if there isn’t enough in the budget. That means that proofreading and copy-editing amendments are often made at the same time, blurring the distinction between the two. Each document is different depending on its purpose, its audience, how it is going to be published, its length, what stage it is at, and the budget and timescales. Because of this, I will discuss your project with you so I can offer the most appropriate service for you. I can offer a copy-editing service, a proofreading service, both of these, or a combination that involves a little of each. What kind of documents do you work on? How do you mark up the changes? I’m happy to work on Word documents or on paper, whichever is more convenient for you. When working on screen I mark up my suggestions using tracked changes, which saves you time as you will not have to type up each change. On paper, I will write the changes by hand, and send you a key for any editing symbols that I have used. I am happy to mark up PDFs at the proofreading stage, but I recommend sending Word documents for copy-editing because there are likely to be a lot more changes during a copy-edit. These can be expensive to put in place if your designer has already arranged the text in a PDF. Because of the variety of document types and the different levels of editing, I will agree the price with you individually. I offer different levels of editing depending on your requirements, so my price is based on the complexity of the work as well as the length of the text. Please contact me for more information and a quote.